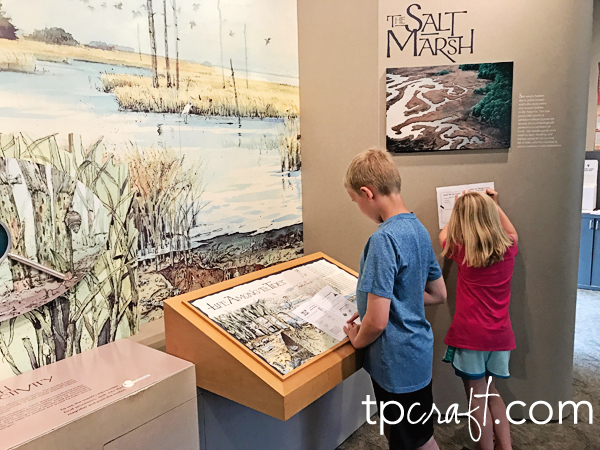 It’s time for another one of our National Park adventures. 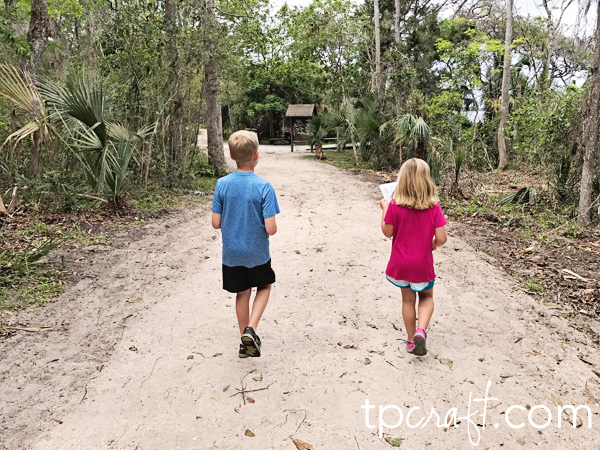 As I mentioned last week, we’ve been trying to hit some of the parks close to our home. Over spring break, the kids and I visited Fort Caroline National Memorial. 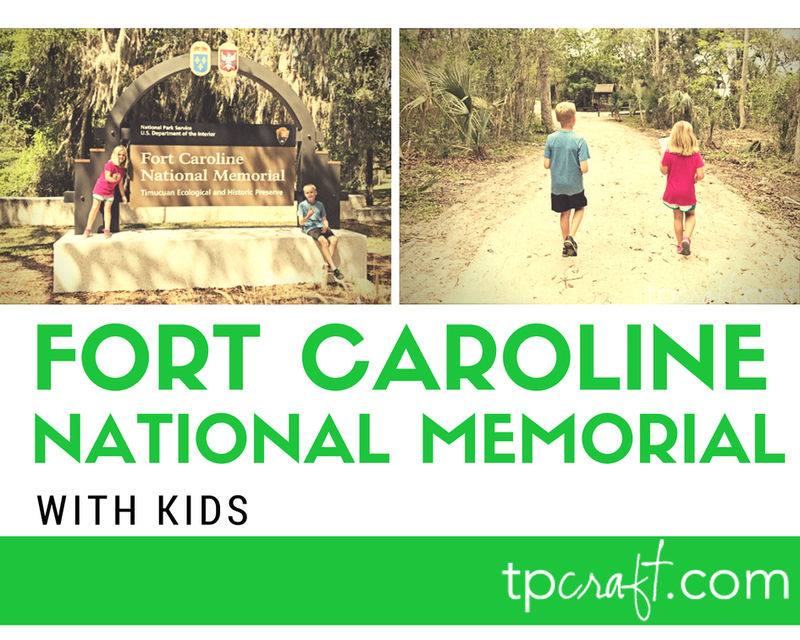 Fort Caroline is part of the larger Timucuan Ecological & Historical Preserve. 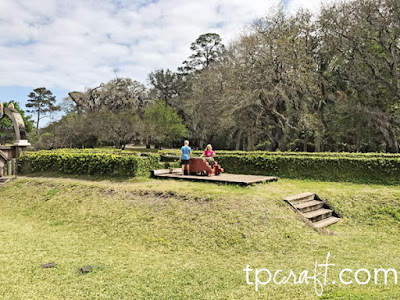 Since last week was spring break and the weather has been cool in Jacksonville, the kids and I decided to head over to the fort one afternoon. 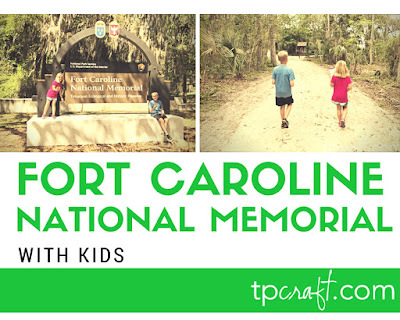 Entry to Fort Caroline is completely free for everyone. We started off by grabbing some Junior Ranger books and exploring the visitor center. They offer an under 8 and an 8+ booklet. Even though Kiley is only 7, she’s a great reader so we asked the ranger to just give her the 8+ one. One of the things I love about the National Parks is that they are great about making accommodations when needed. Having them both work on the same book makes it much easier for me to help if needed. 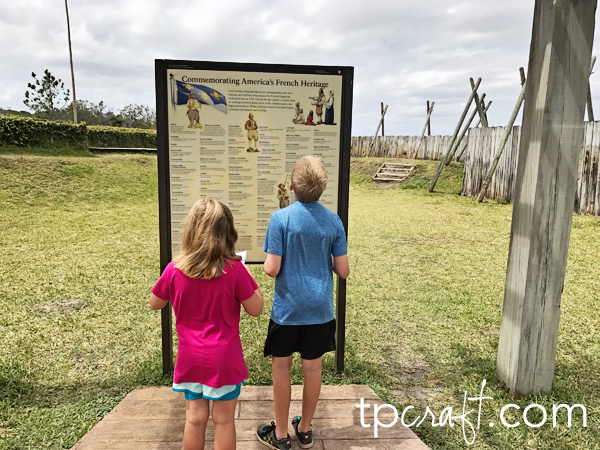 After we finished up at the visitor center we headed down the sandy trail to Fort Caroline. The trail is short and easy to walk. It would be easy even for little kids to run along. On your way to the fort you pass a dock that’s a nice walk out over the river. 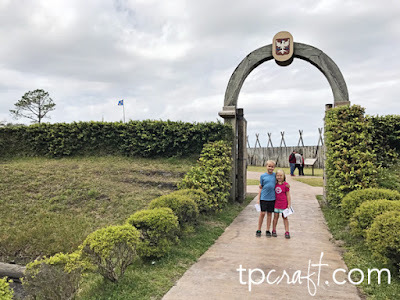 Fort Caroline is much smaller than Castillo de San Marcos that we visited a few weeks ago but it’s wide open spaces are great for kids to run around. There’s lots of great signage inside the fort. Some of the answers to their Junior Ranger books were found here. We spent a lot of time just running around the fort. The kids loved looking at the cannons and peeking over the fence at the river. Even though it was spring break, it wasn’t very crowded. 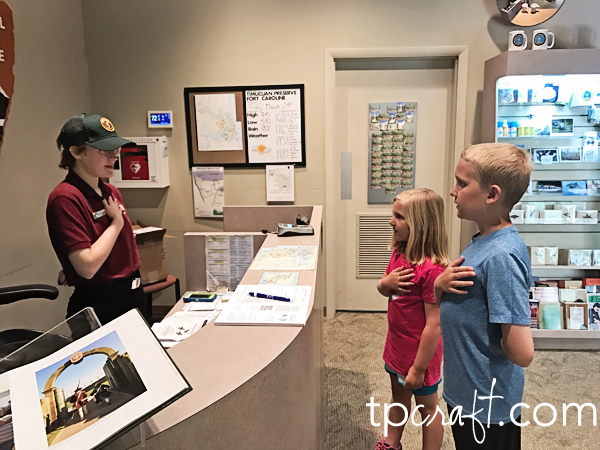 Our last stop was back at the visitor center where the kids picked up their 12th Junior Ranger pin. 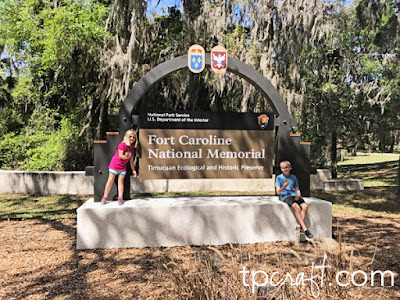 Highlights: Fort Caroline is great because it’s small and easily manageable with kids. We used to live near here and I would take both kids when they were little by myself for a visit and to wander around. 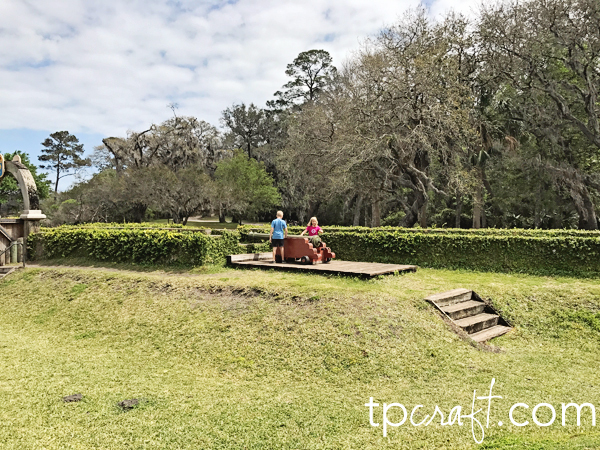 They also have plenty of picnic tables and lots of benches around the park. It’s a great park to pack a lunch and picnic outside. What We Would Change: Honestly, I wouldn’t change anything. It was a great day and a great visit.